The recent discovery of acrylamide in both fried and baked foods like French fries and potato chips has caused alarm. Acrylamide is both a known carcinogen in animals when administered in high doses and a neurotoxin when humans are exposed to large amounts in the workplace. However, the link between acrylamide in food and human health is much less clear. 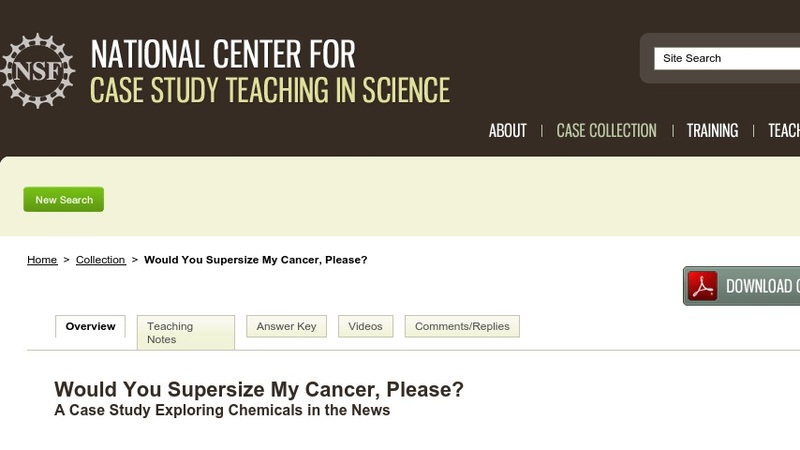 In working through the case, students compare the accuracy of news headlines, articles, and web pages with the information presented in scientific journals. This case was designed for non-science major courses and can also be used in seminars.